If you have always loved being outside and have a passion for adventure, then you might be considering taking up hiking as a hobby. The fact is that hiking is a great hobby as not only is an excellent form of physical activity but it’s also an excellent way to spend more time outdoors, exploring your local area, as well as areas that are a little further afield. Of course, like any new hobby, there’s a lot that you need to know before you head off over the hilltops to explore. So bearing that in mind, below is a guide to the ins and outs of taking up hiking as a new hobby – read on for all of the best tips and advice. If you can already map read, you can skip this step. If you can’t map read and don’t understand how to use a compass, you might want to take the time to learn. It’s all well and good exploring the local area with just the wind to guide you, but as you head further afield, you will need to know how to map read and use a compass to navigate across different routes. You might be able to join a local orienteering class to learn the basics or a survival group. If there isn’t a local group for this kind of thing, you should be able to find various map reading and compass using tutorials on YouTube to follow and learn from. 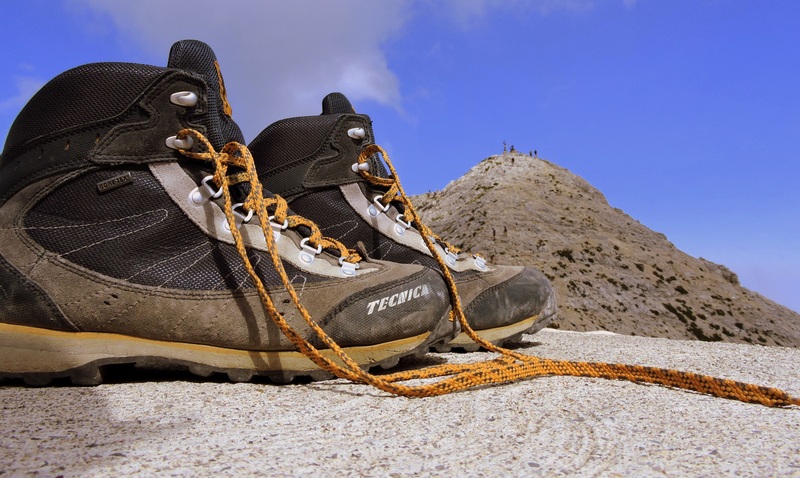 If you are going to be hiking regularly, then you need to invest in the right equipment. The most essential item is a pair of good quality walking boots or trainers that are comfortable and designed for exercise – to learn more about this head over to biopods.com and have a browse of the designs and resources available on there. In addition to needing footwear, you will also require a backpack, a compass, a map, a water bottle, a torch, and camping supplies for any overnight hiking trips that you might like to plan in the future. Hiking can be a lot of fun, but it’s essential that you understand the need to always be prepared, which is why investing in the right equipment is so essential. When it comes to hiking– or any hobby – it’s crucial that you always put your safety first. 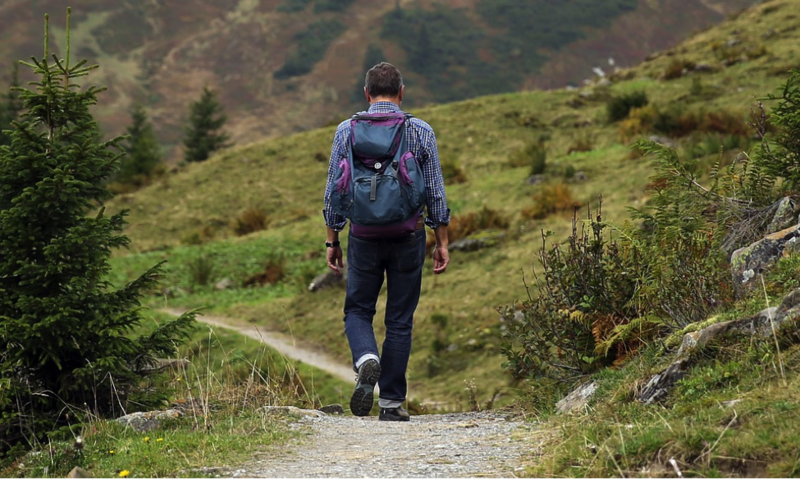 Hiking can be a great way to stay fit and get out and about more, but if you aren’t smart about the approach to hiking that you take, you could end up putting yourself in danger, which is not what you want to do. Always ensure that you tell someone where you are going and when you should be back. If you are walking alone, share a copy of your hiking trail with a friend or relative, so that if you don’t return on time, they know where you should be. Always carry a fully charged phone with you for emergencies, so that you can contact help, should you need it. There you have it, everything that you need to know about starting hiking as a hobby. 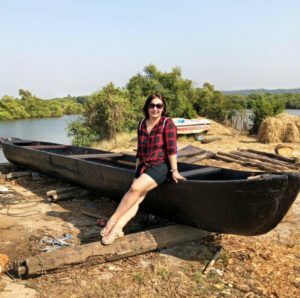 Modern vacations are evolving, and most people now find that sitting on the beach for a fortnight simply doesn’t tick all the boxes. Exploration is now an integral aspect of any great trip, which is why hiking holidays are an increasingly popular solution. Before taking your first, though, it’s imperative that the right preparations are in place. Here are six key points of focus that will ensure you choose the right pathway. Destination | First and foremost, your hike should reward you with a spectacular scene at the finish. Machu Picchu has become one of the hottest attractions as it merges natural beauty with ancient and unique architecture. You can learn more about tours at http://gadventures.com/destinations/south-america/machu-picchu/. Once you’ve seen it for yourself, you’ll be ecstatic that you chose this instead of a beach deal. Company | Booking with the right operator ensures that you get to experience the best that a place has to offer. However, you also need to consider the party that you travel with. While the rewards make it all worthwhile, there’s no doubt that hiking can be emotionally testing. Travel with friends that are likely to drain the enthusiasm, and it will take its toll on your fun. Attire | When you dedicate a few days to hiking, it’s imperative that you are made to feel comfortable. The right footwear should be top of the agenda as it will make a telling difference to your trip. Likewise, the best backpack and suitable campaign essentials can remove a lot of stress. In turn, that’ll allow you to enjoy the great outdoors to its full potential. Camera | Depending on where you travel, you might not be able to get online during your stay. This is why laptops are redundant. Still, a camera and rechargeable battery allows you to document your adventures to ensure those memories last a lifetime. You can find the best ones at http:/\switchbacktravel.com/best-cameras-hiking-backpacking. Once you return home, those snaps can be turned into artwork for the home. Perfect. Journey | The last thing you need is to feel uncomfortable before you’ve even reached the destination. You might have to choose coach, but flying directly to the nearest airport is essential. Meanwhile, you should avoid public transportation for the onward trip. Aside from the direct benefits, it removes the stress of knowing you have a nightmare return leg to come. Injections | Hiking is an incredibly enjoyable task, but you are likely to choose places where dangers could be lurking. Given that nothing is more important than your health, it’s vital that you take action by getting the right jabs and medications. A little online research should tell you what’s needed. It doesn’t hurt to have medical insurance in place too. Still, prevention is always better. 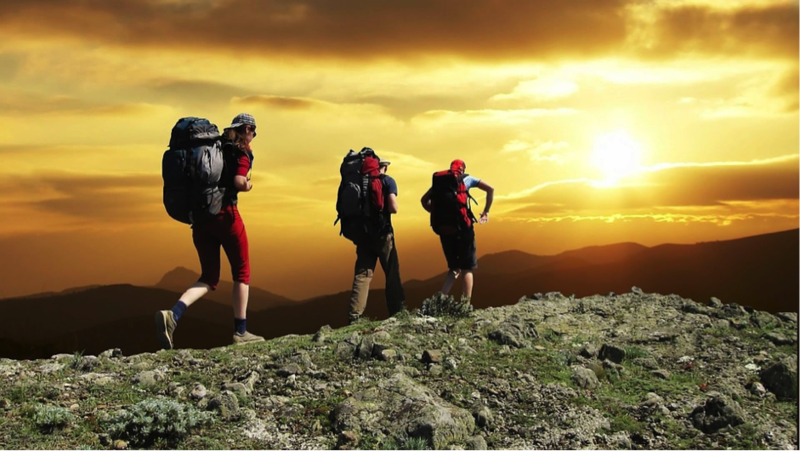 With the right precautions, there’s no doubt that hiking trips can be the most rewarding. Aside from all the traditional joys, you gain that sense of self-satisfaction too. Frankly, there’s never been a better time to book your adventure.